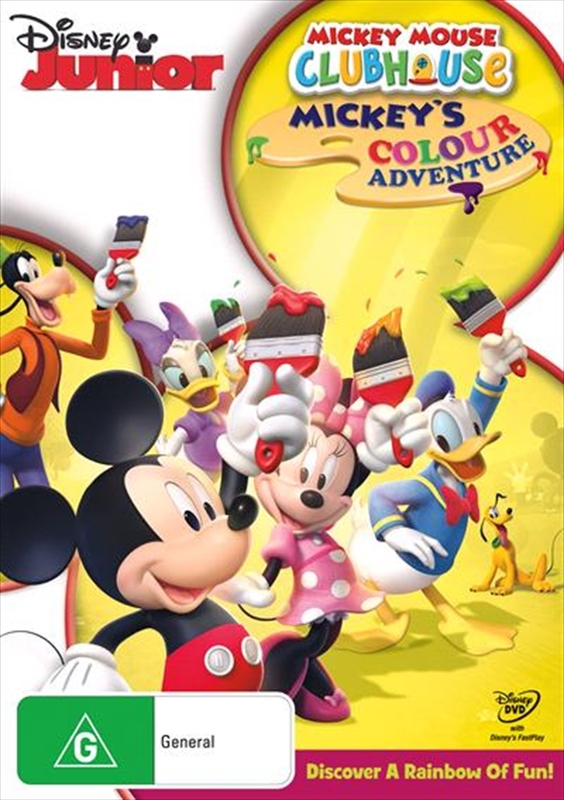 Brighten your day with MICKEY'S COLOUR ADVENTURE, a dazzling blend of fun, friendship and creativity! Today, something unusual is happening: All the colour is disappearing from the Clubhouse! Won't you help get it back? Grab your mouseketools and join the Gang as they collect objects in red, orange, yellow, green, blue and purple to power up Professor Von Drake's Rainbow Colour Machine. Then, paint, sculpt and draw with Goofy, and journey to the end of the rainbow to look for Leprechaun Pete's pot of gold. There's magic, surprises and adventure everywhere in sight when you discover the wonders of colour!